Richmond police on Tuesday are searching for a San Pablo man who is suspected of fatally shooting his estranged ex-girlfriend while she sat in her car and her sons watched. 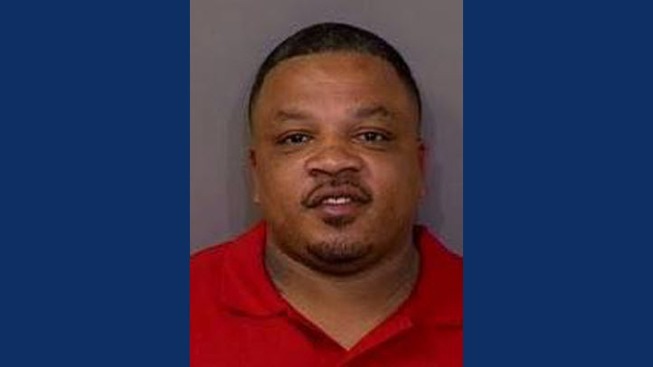 Lawyer Dushan McBride, 43, is accused of killing Rashanda Franklin, 29, of Richmond, before taking off in a 2007 silver Mercedes-Benz S550 with paper plates. He remains at large as of Tuesday evening and there is a $2 million warrant out for his arrest, police said. Police release video surveillance of a fatal shooting in Richmond. The “tragic incident” began around 8:45 a.m. with a call of a possible disturbance near 29th Street and Rheem Avenue, police said. While officers drove to the scene, a shooting was reported at the same location. Officers found Franklin "slumped over" in the driver’s seat of a silver Jeep SUV, with a gunshot wound to her upper torso, Lt. Felix Tan said. She did not survive the injury, according to police. "One is kindergarten age, the other less than 10 years old," Tan said about her two children who were in the backseat of the vehicle. They were not hurt and have since been left in the care of other family member. According to investigators, Franklin was on her way to her children’s daycare when she spotted McBride. She drove around the neigborhood, hoping to give him the slip, but McBride continued to follow her. When Franklin paused at a stop sign on Rheem Avenue at 29th Street, McBride drove ahead and cut her off, police said. McBride then climbed out of his car and approached Franklin, with whom he argued for a short while. He then shot her in the children’s presence and fled, said police, who believe this may have been a case of domestic violence. 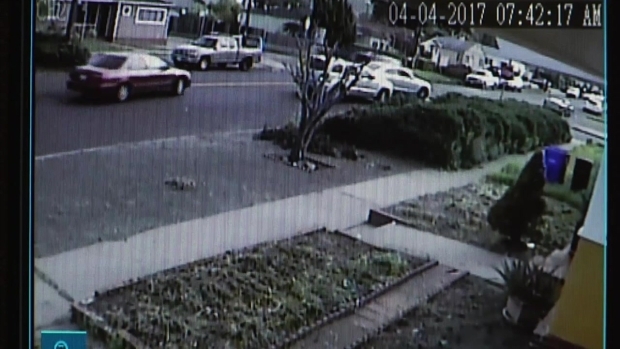 Surveillance footage from a neighbor's porch captured the horrific scene. A woman in a red car behind the pair saw the entire scene unfold. The witness, who asked to remain anonymous, saw McBride get out of his car, holding a gun. She drove away and called 911, urging dispatch to send officers quickly because she had heard a gunshot ring out. "What do you do for those kids? That's a horrible thing for them to go through," said neighbor Brad Scarborough. "Even the officers, they're upset. It's a tough day for Richmond." Adrienne Reynolds was the first to bring flowers to the scene. She is the godmother to Franklin’s oldest son, who witnessed the killing. "He knows who it is. This is not a stranger," she said. Lawyer Dushan McBride, who is suspected of fatally shooting his estranged girlfriend in Richmond, is driving a 2007 silver Mercedes-Benz S550 with paper plates, police said. Franklin’s family says McBride had been stalking the mother of three for months. She didn’t have a restraining order on him but reached out to police for help. McBride is believed to be about 5-feet 9-inches tall, weighs 225 pounds with black hair and brown eyes, according to police. People with information about the crime are asked to call 911 instead of reaching out to the “armed and dangerous suspect of this heinous crime,” police said. Richmond homicide Det. Wentz can be reached at 510-621-1259.